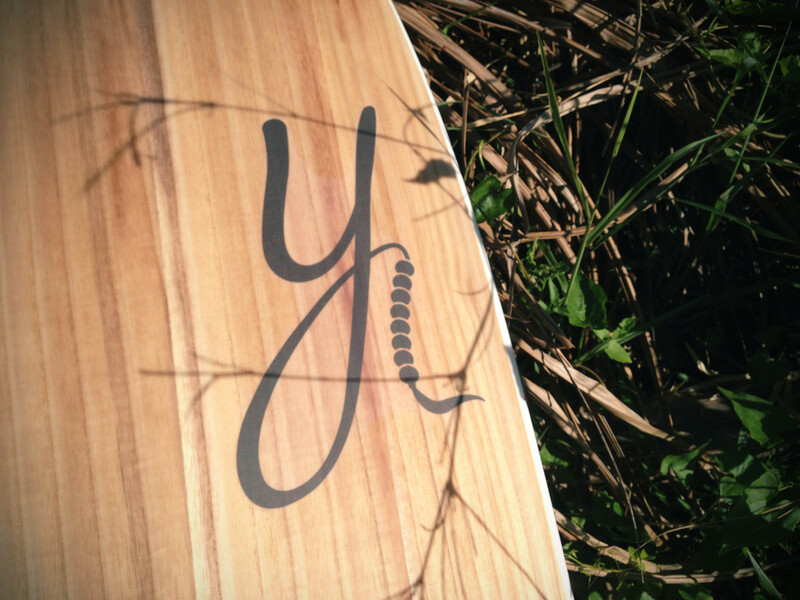 A Present for miss Yan from Manuel. 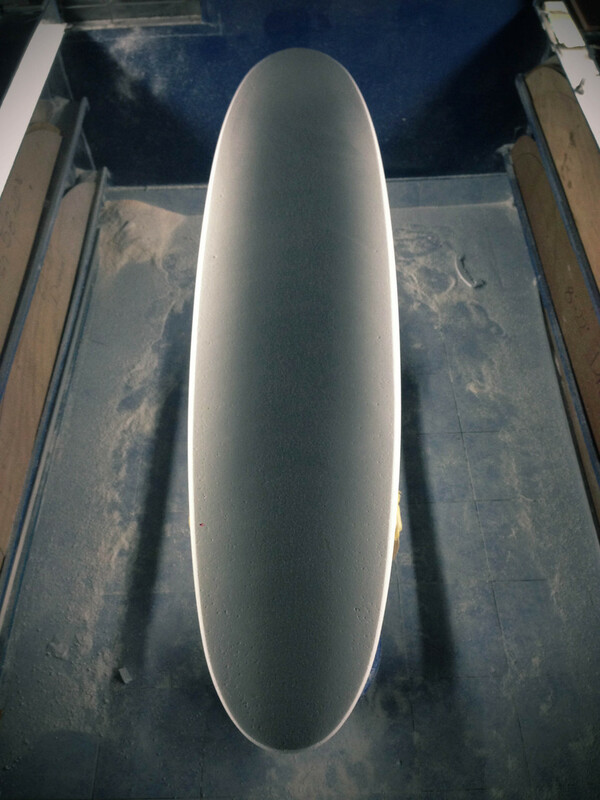 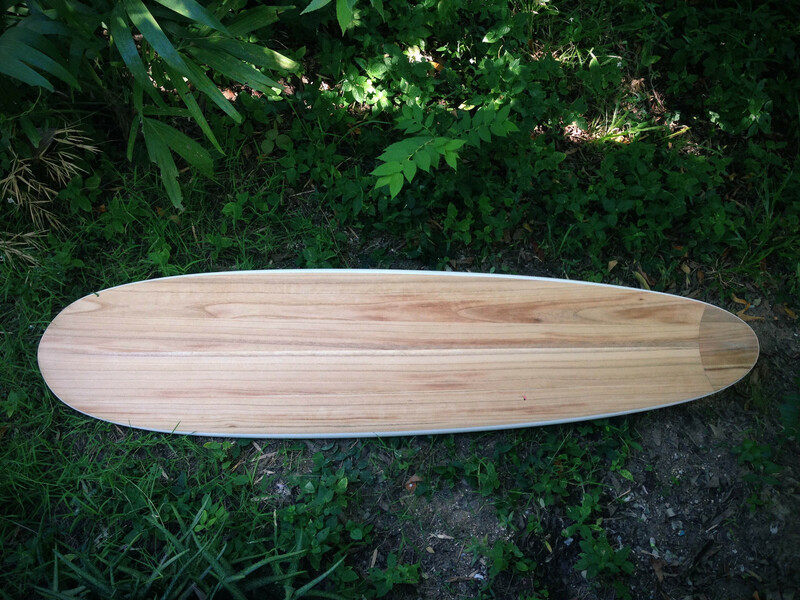 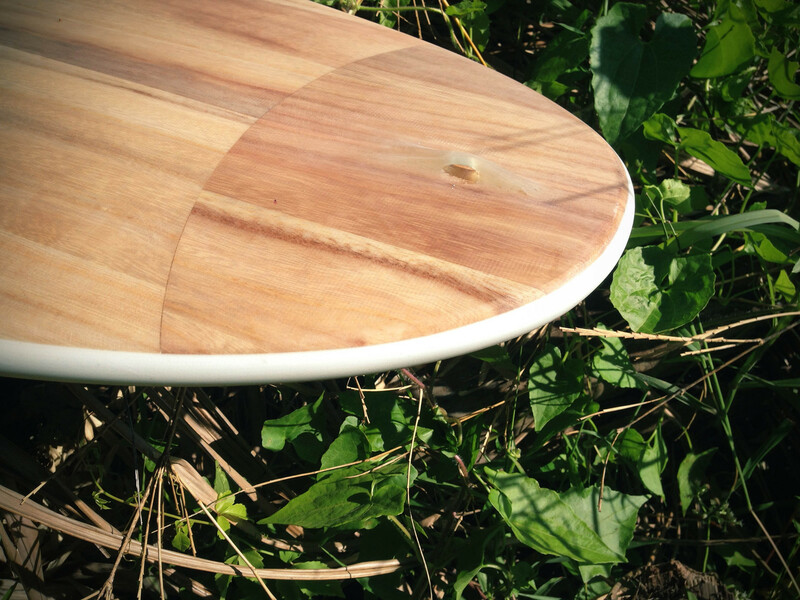 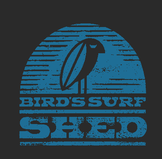 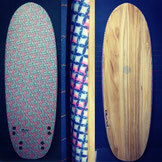 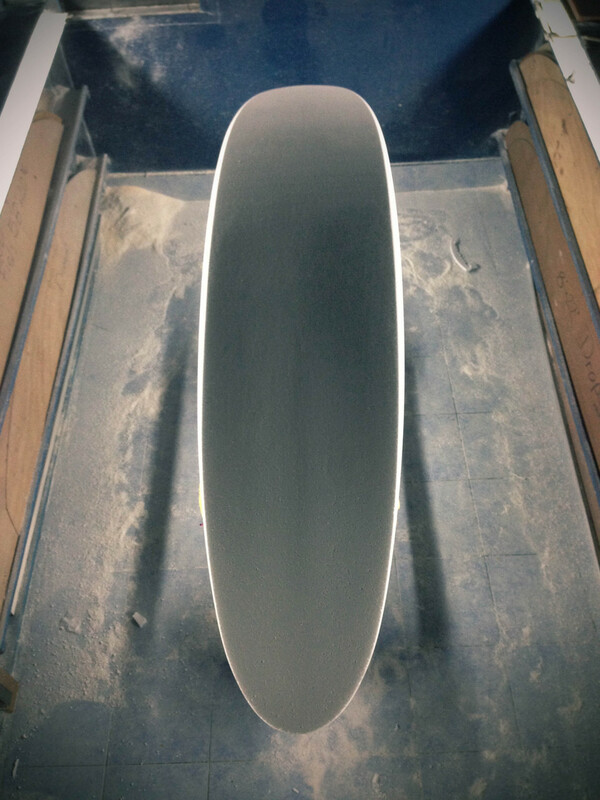 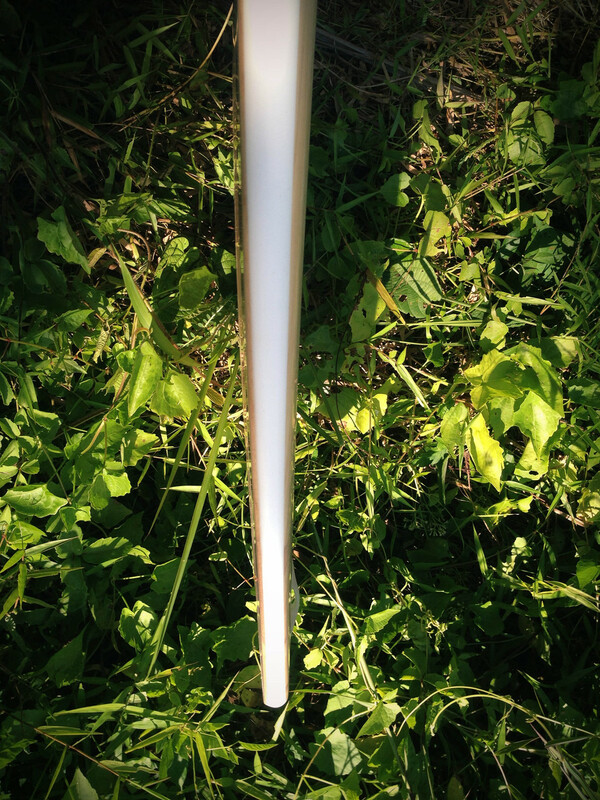 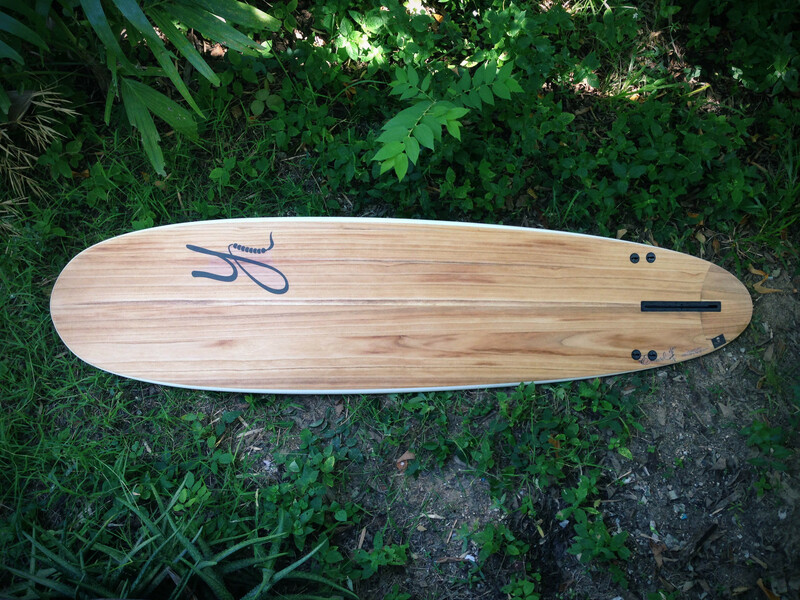 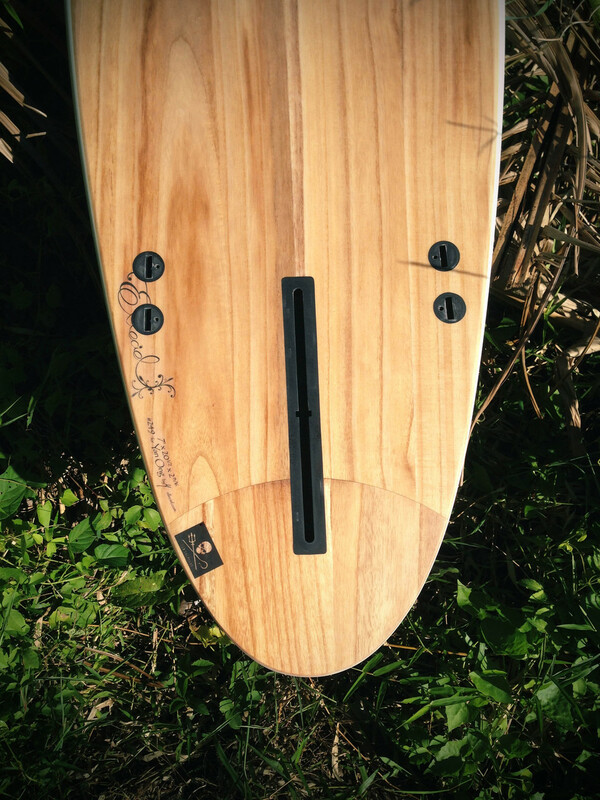 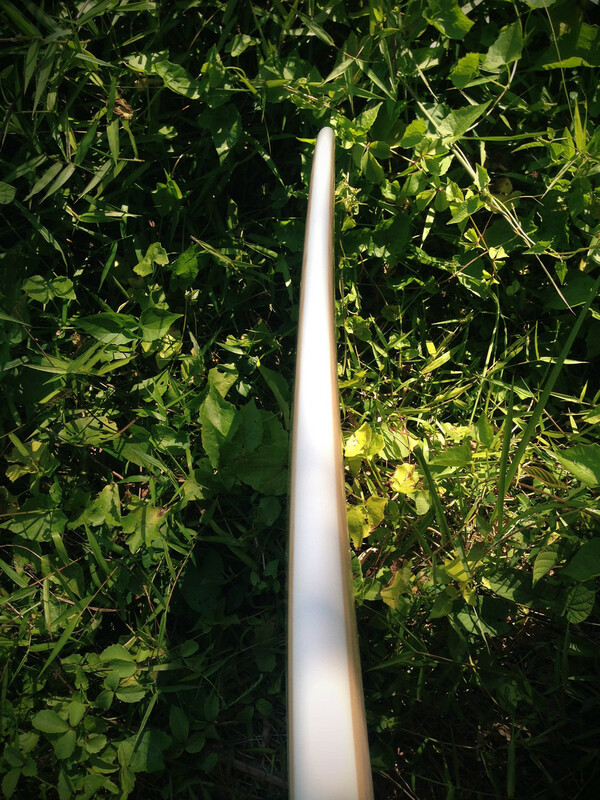 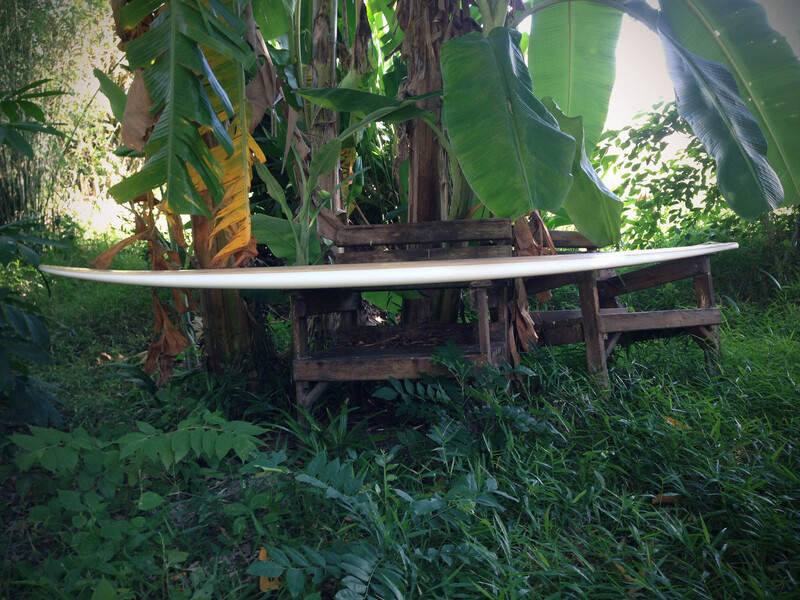 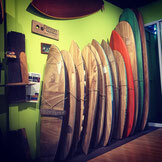 Beauty in simplicity, this Drop has a V double concave with a 1 + 2 fins setup, paulownia wood skins and glassed rails. 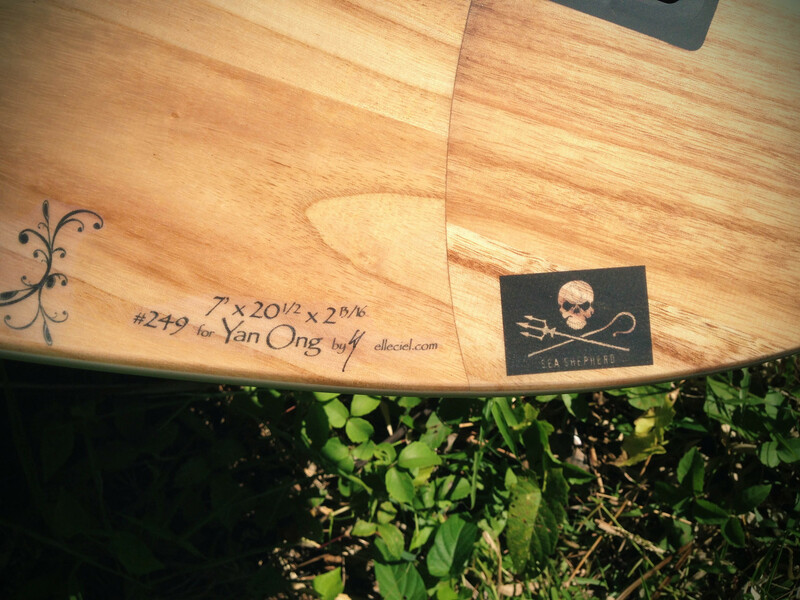 With Yan's logo on bottom.